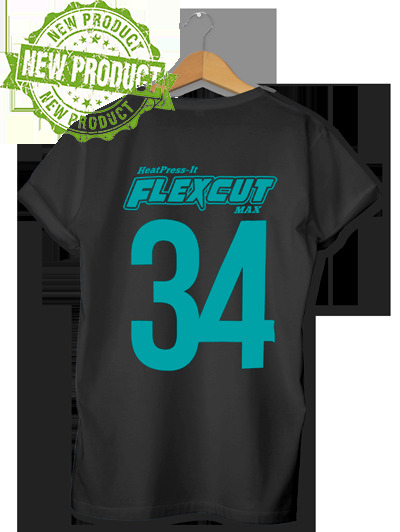 FlexCut Max is a vinyl that can be cut on plotters or cutters and applied by heat to garments or fabrics. It is suitable for cotton, polyester, and blended fabrics. FlexCut Max is a high quality, multi-layered polyurethane film on polyester liners. It has good covering power, and high elasticity. For this reason, even thin lines and small fonts can be cut on plotters. FlexCut has a sticky backing which is suitable for producing both large and fine detailed logos. FlexCut has a semi matt finish and is also ideal for multicolour layering. It has a large colour range and is easy to cut, weed and apply. Warm or Cool peel - depending on the weave of the garment.